Better to reign in hell…. Uriel 3019 has been a cybernetically altered angel since he volunteered for the program fifteen years ago. His devotion to the floating city of Heaven is fierce, and he’ll follow any command he’s given. But Uriel’s orderly world is crumbling. Angels are going mad, even hurting people. Some are rebelling, and the noble families are vying for control—by any means necessary. Uriel’s latest assignment brings him into a secret society, where his partner, Raphael, is working for freedom and equality for all angels. Could their group be responsible for the angels’ recent erratic behavior? Uriel is determined to find out—and report on his findings. But he doesn’t count on Raphael’s confession—that he has feelings for Uriel—or the memories slowly starting to return from the time before he became an angel. Is he on the right side? Does he dare to stand against Heaven, even if doing so will save his fellow angels from becoming soulless automatons? 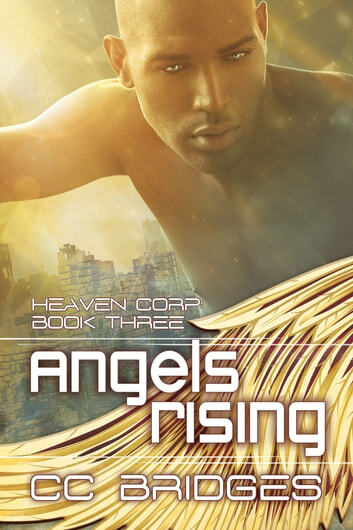 Uriel has to decide if his loyalty belongs to his superiors… or to the angel who’s stolen his heart.